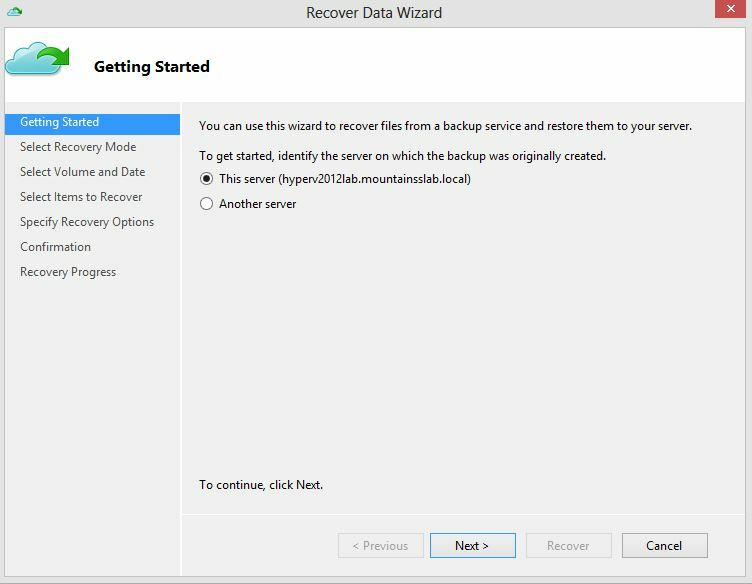 Download the Certificate Creation Tool (makecert.exe) from the TechNet Gallery. 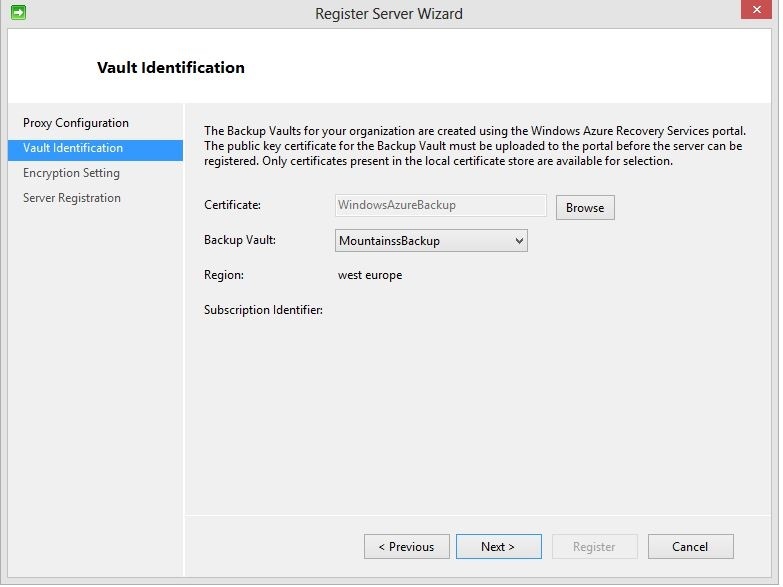 The certificate will be created and stored in the same location. 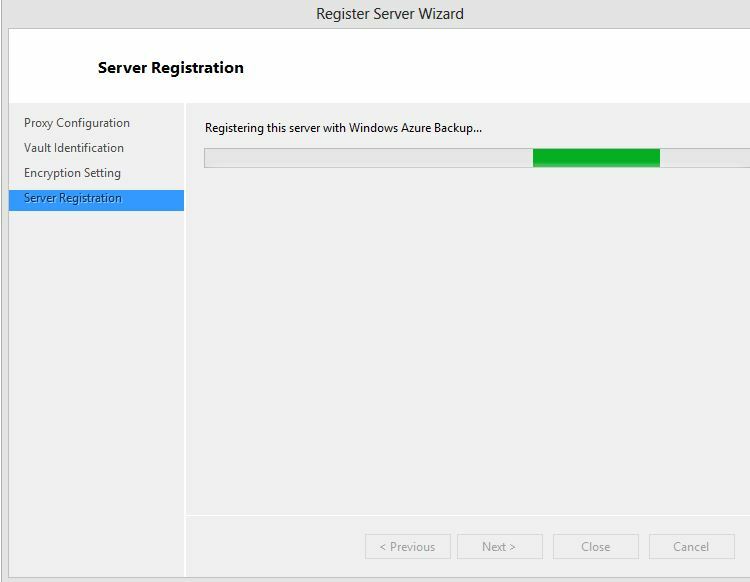 If you register the server you used to run makecert.exe, you can browse for the certificate using the Register Server Wizard (after installation of the agent). 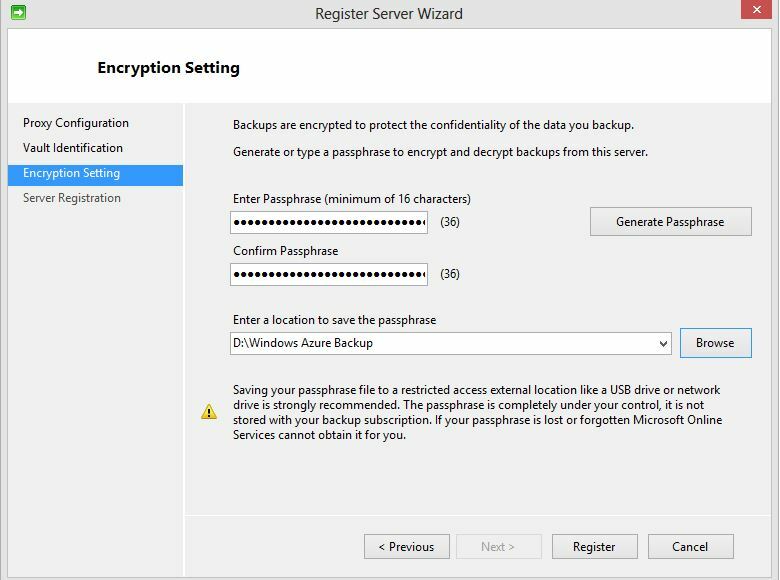 If you want to register a server that was not used to run makecert.exe, you must export the .pfx file (containing the private key) from that server, and copy it to the server you want to register, and import it into the Personal certificate store on that server. 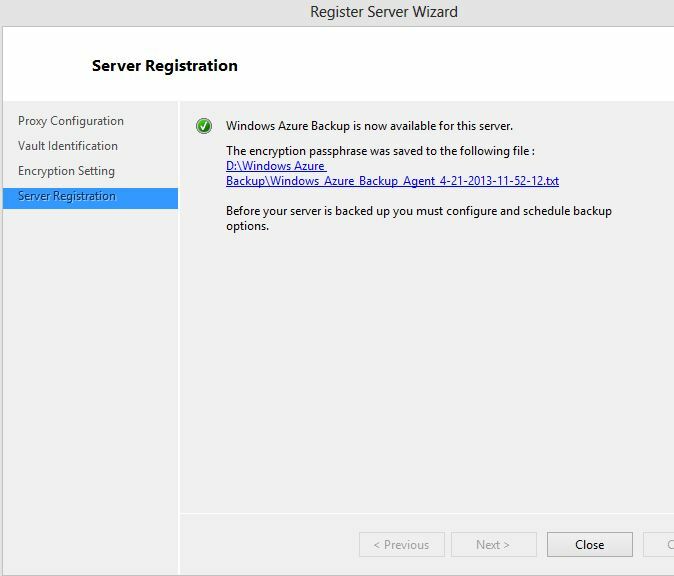 After the import, you can browse for the certificate using the Register Server Wizard (after installation of the agent). 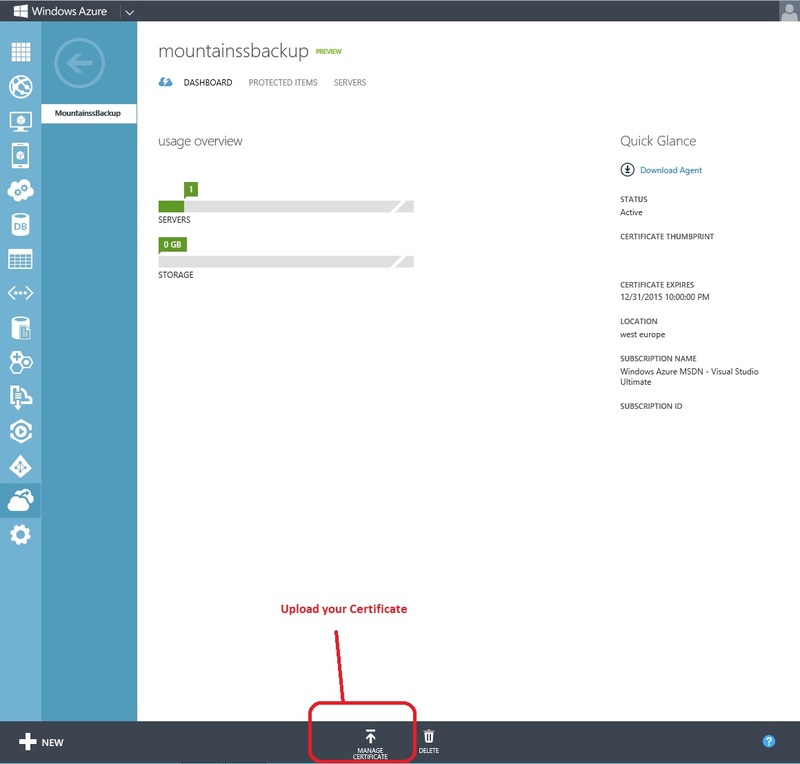 Upload here your Created certificate for your Windows Azure Backup Vault. 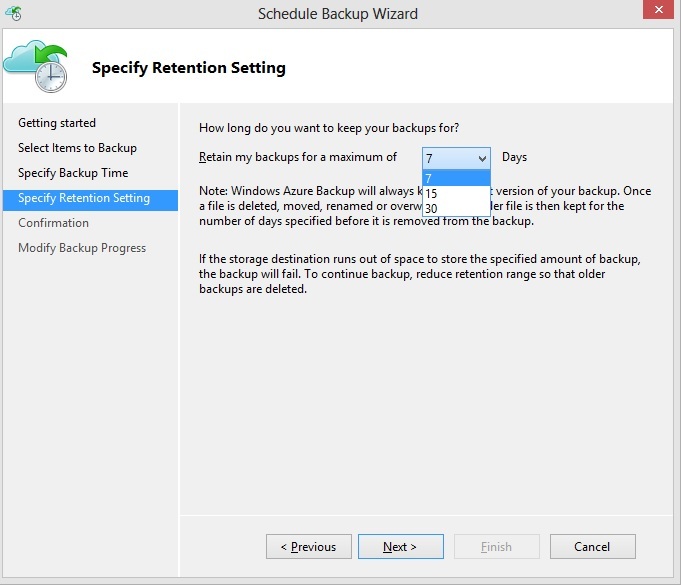 Select your Certificate and the Backup Vault of Windows Azure Backup. 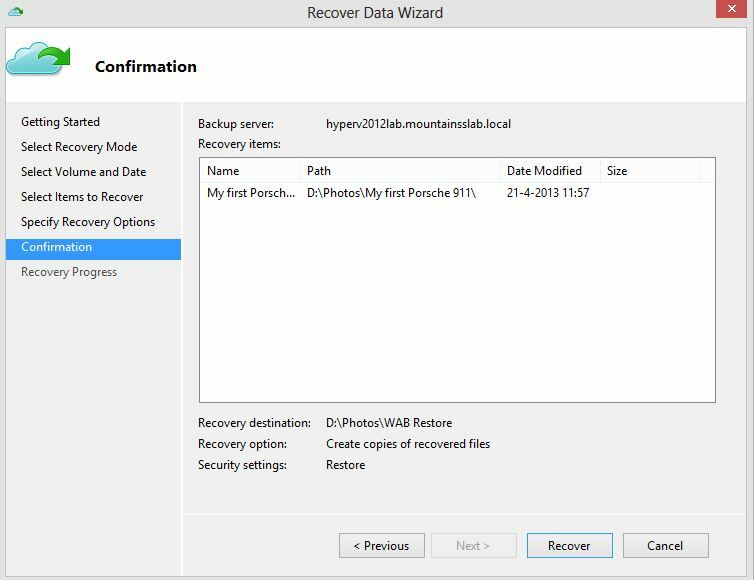 Click on Generate Passphrase and enter the location. 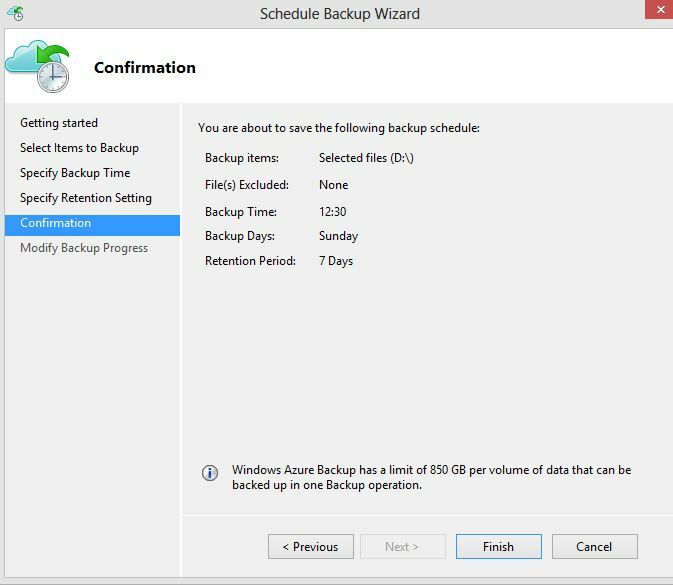 The Windows Azure Backup Agent is registering the Server in Windows Azure Backup Vault. 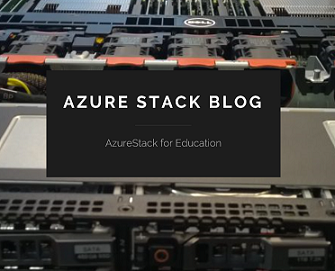 Click on Next to get started. 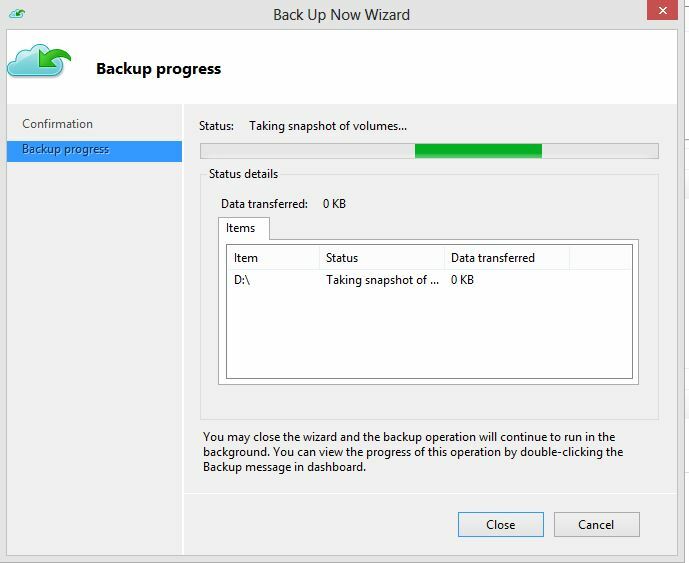 Browse and select your data for the Backup Job. 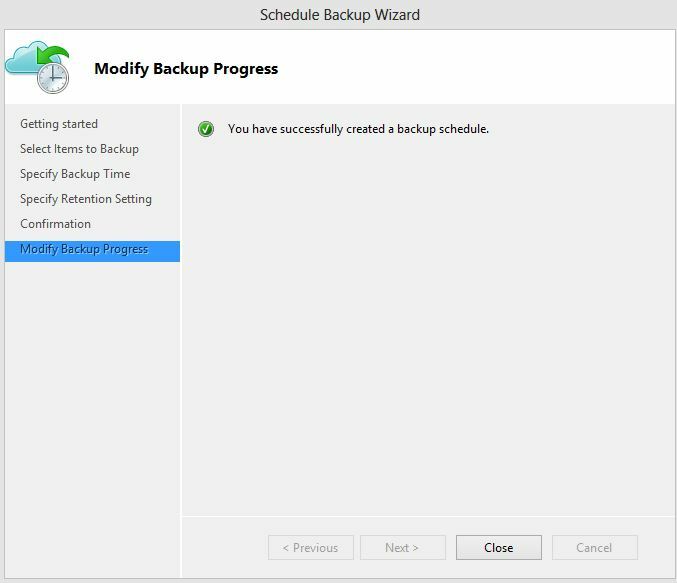 Confirmation of the Backup Schedule, Click on Finish. 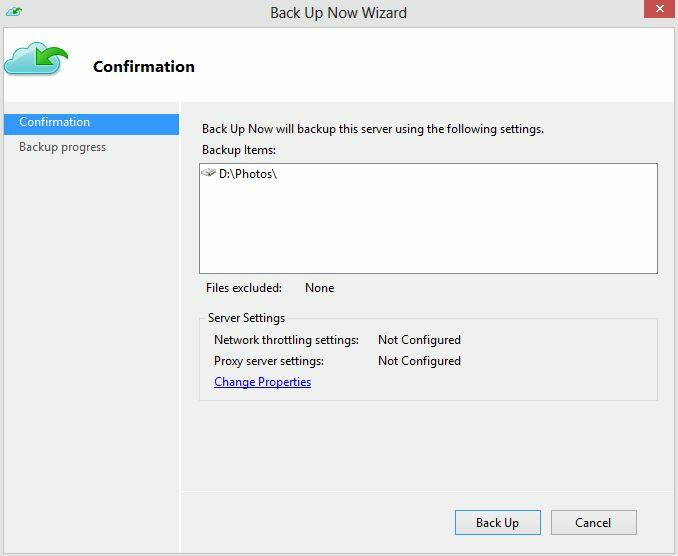 The scheduled Backup Job is successfully Created. 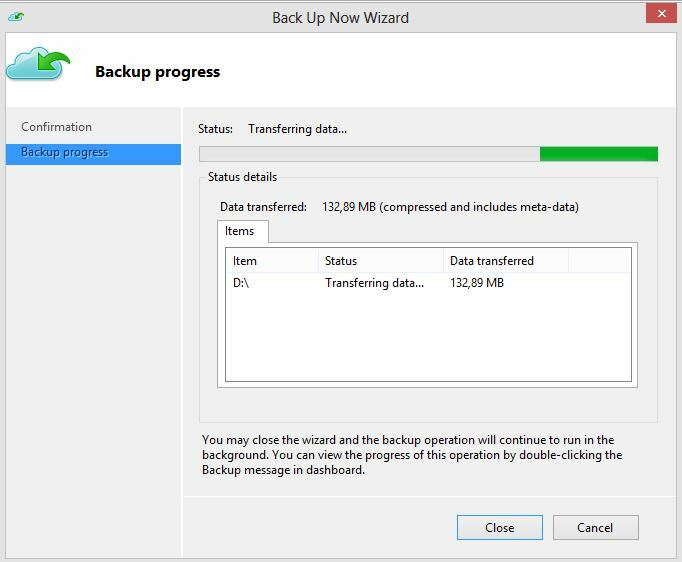 Backup is running and data is transferring to Windows Azure Backup Vault. 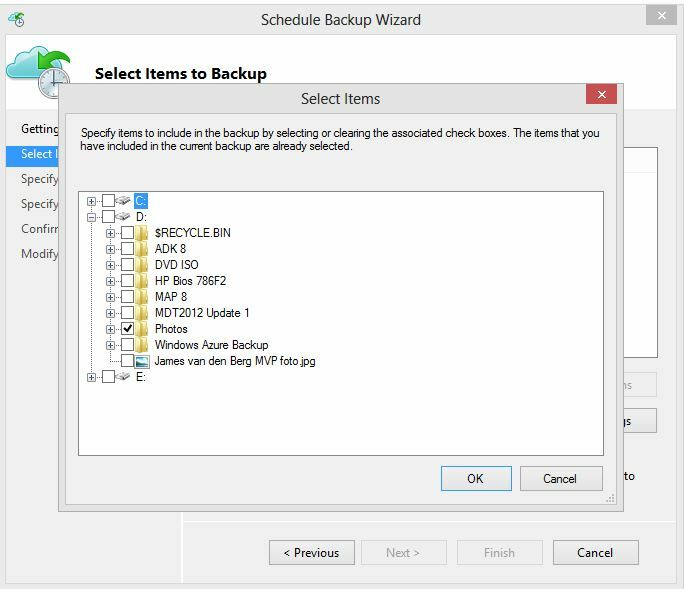 The recoverypoint is made in Windows Azure Backup Vault. 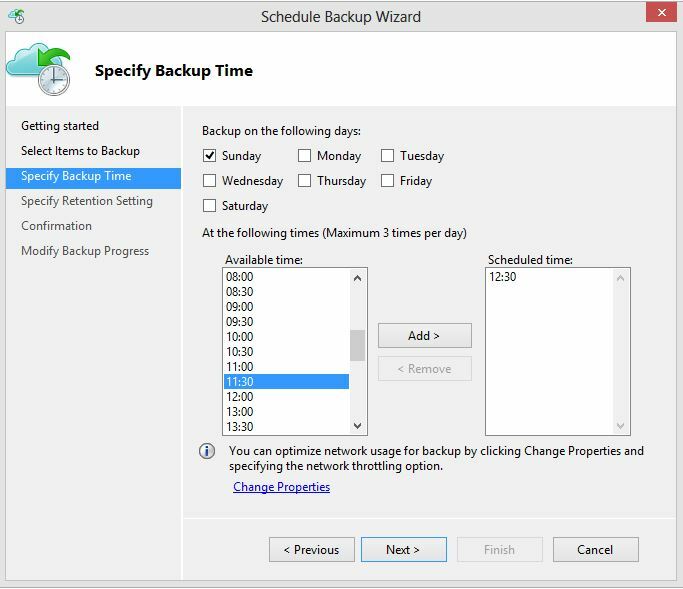 Specify the Server for restore. 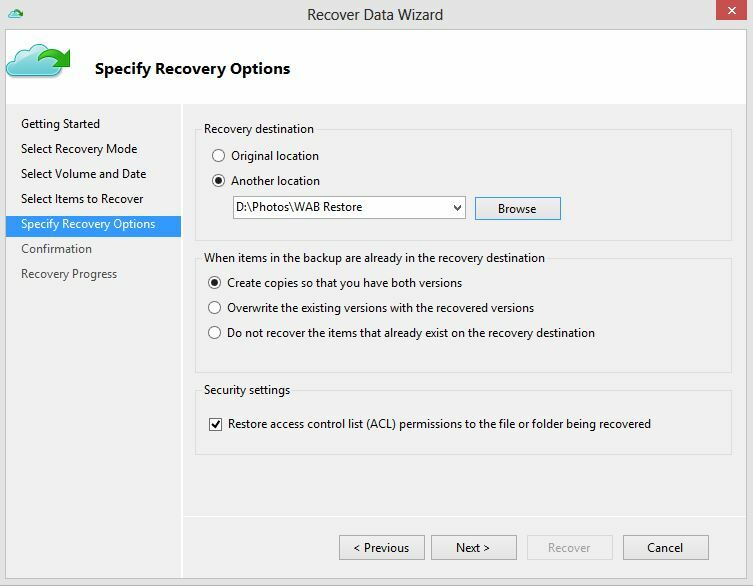 Click Next for Browsing for Files to Select for Restore. 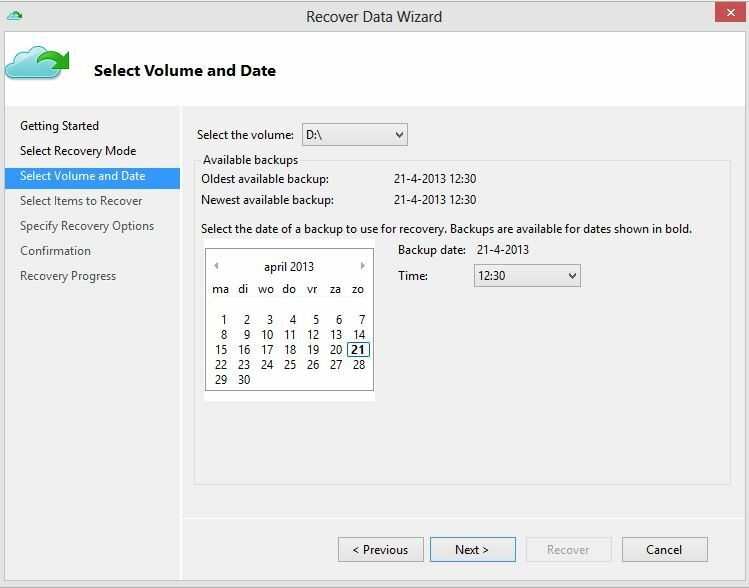 Select your date of the recovery point. 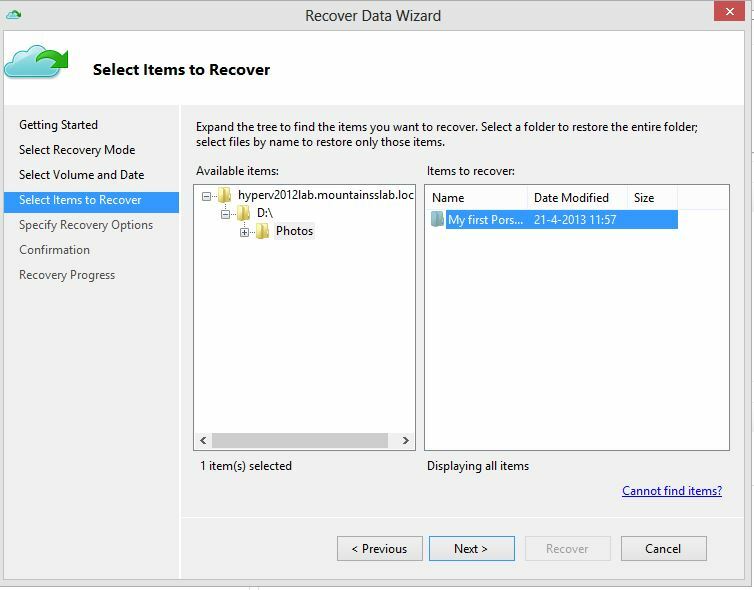 Select the items to recover. 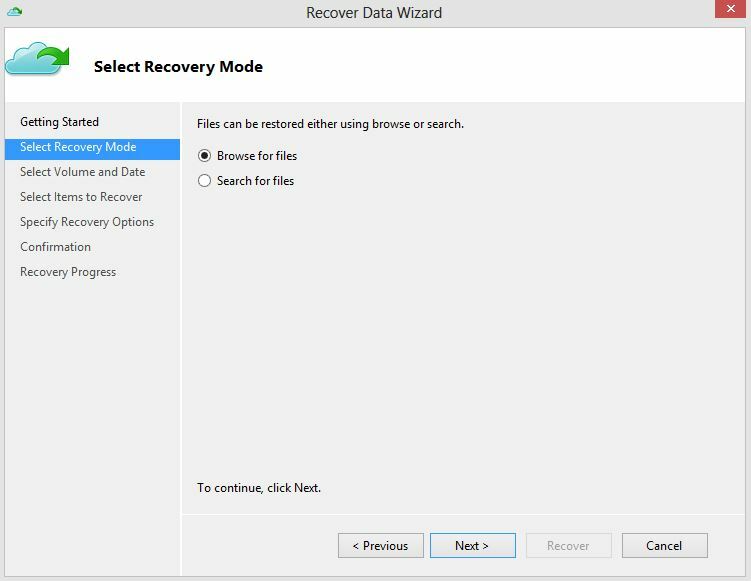 Select the destination for the recovery job. 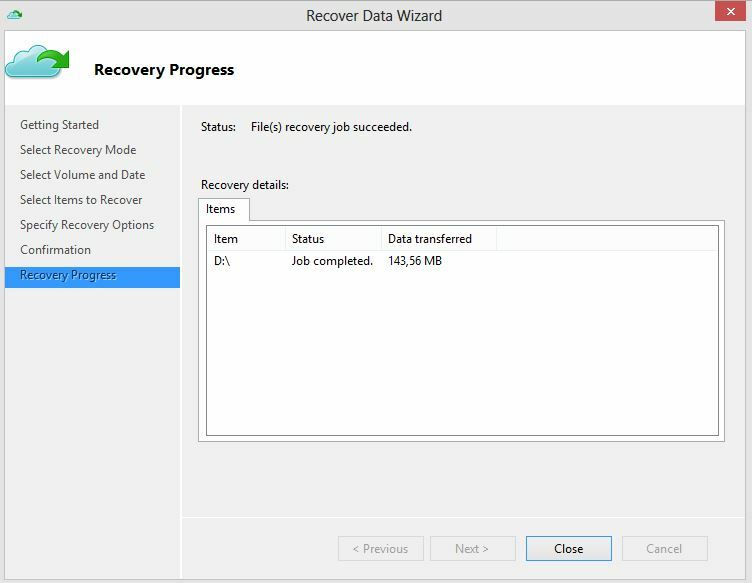 Confirmation of the recovery Job, Click on Recover. 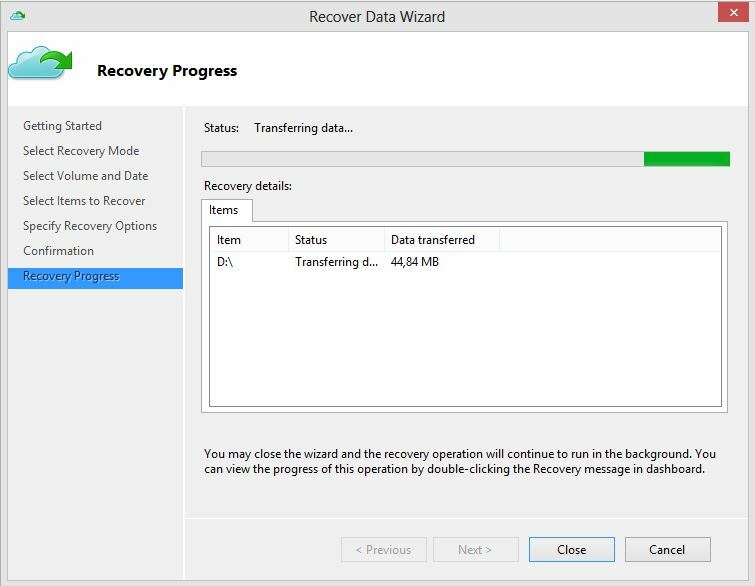 The Recovery Job is transferring the selected data from Windows Azure Backup Vault. 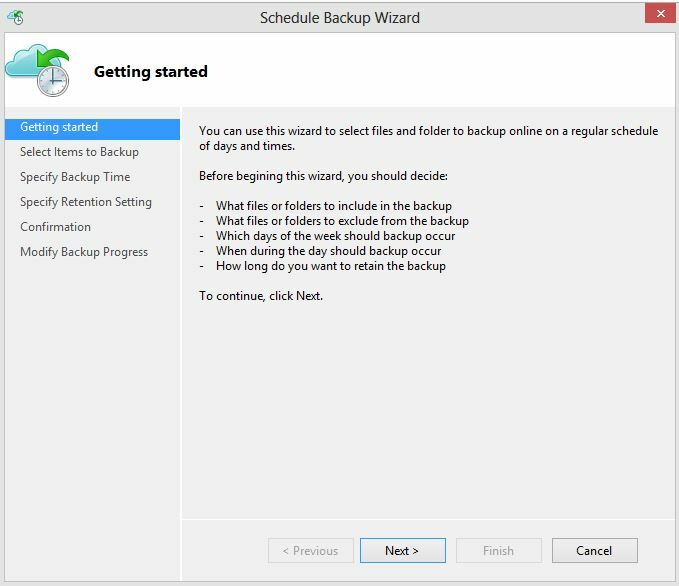 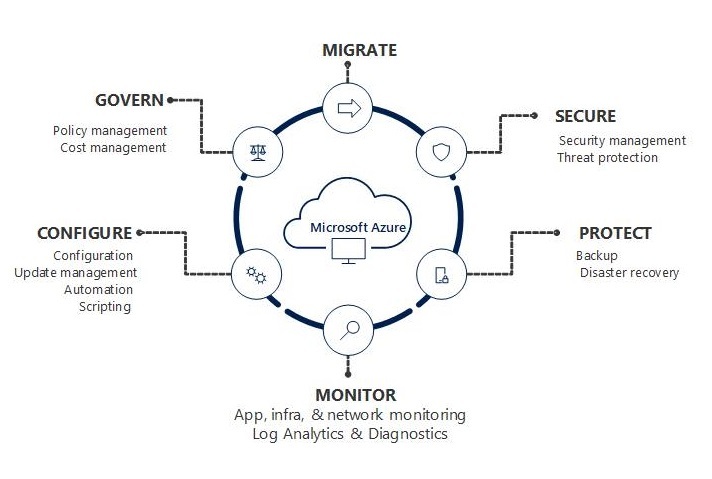 Categories: WindowsAzure | Tags: Backup, Cloud, WindowsAzure | Permalink.